How can it be that we are here, 24th December already? It’s flown by so quickly and I do hope you’ve enjoyed the books I picked out for this different take on the advent calendar and perhaps you even went out and bought some of them? I know I did. All that can be left to say is have a very merry Christmas full of love and happiness and I hope you and those around you can be full of joy, be safe and happy. Merry reading, everyone. I will be back in the new year and for now I leave you with this beautiful edition. 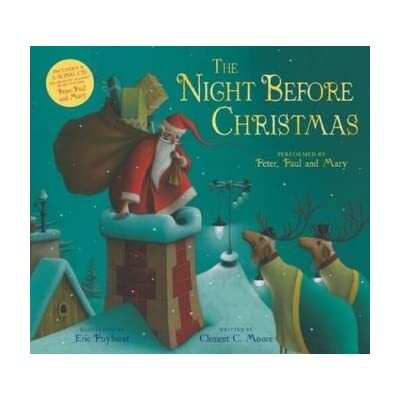 The Night Before Christmas, illustrated byEric Puybaret is a beautiful edition and ever so magical. There’s something haunting and silent about the illustrations; they speak for themselves. The colours are vivid and otherworldly. I can’t imagine a better place to read this than in the living room, with only the soft twinkle of the christmas tree light and a log fire (if you’re lucky). The book also features a three song CD by Peter, Paul and Mary. Such a treat! Merry Christmas everyone. 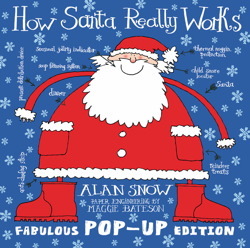 If you (or your kids) have ever wondered how Santa gets all those presents delivered and how he makes all of them and what his house in the North Pole is really like, this is the definitive book. It’s a pop-up book and the pop-up designs are so detailed and intricate, they’re 360degrees pop up so anywhere you look there’s something to be found. From the cookies cutters in the kitchen to the hammer in the elves workshop, the attention to detail is amazing and the book if full of amazing facts. This is sure to keep the kids amused if they’re tired of watching DVD’s. Such fun. The author’s name is Alan Snow, do you think that’s real? I do love a good pop-up book. Even if I’ve got the original plain book edition, if the pop-ups are worthy, I will buy that too! It’s not quite the night before Christmas, but I have another version of that book to share on Christmas eve! This edition, published by Usborne is a sound book for little ones. Follow the story of Santa as he makes his Christmas Eve journey. When the illustration next to the text matches the sound button illustration, press the button to hear the noise which accompanies the story. Usborne do lots of these sound story books and they’re such fun and a great interactive way for kids to learn. A lovely book for the kids to read on Christmas Eve as the excitement builds. I think my favourite noise is Santa coming down the chimney, it’s all very dramatic and sounds like he takes a tumble. Now is the time for the really festive books and so here is my favourite book of all time, A Christmas Carol. It brings me joy, happiness and a reminder of how lucky I am and how grateful I should be. There are countless editions of A Christmas Carol and wouldn’t I love to own them all, but for now my favourite edition is illustrated by Quentin Blake. It’s a beautiful, vintage looking hardback book full of jolly and at times, scary illustrations as we follow Scrooge on his journey of goodwill. I think everyone should read this once a year. We get caught up in life so easily and understandably so but sometimes it’s so important to stop and take stock and look after ourselves and those around us (including Tiny Tim). A Christmas Carol is very close to my heart. It’s a book of redemption and love and I love Charles Dickens for bringing it into our lives and very much changing the way we celebrate and look at Christmas. 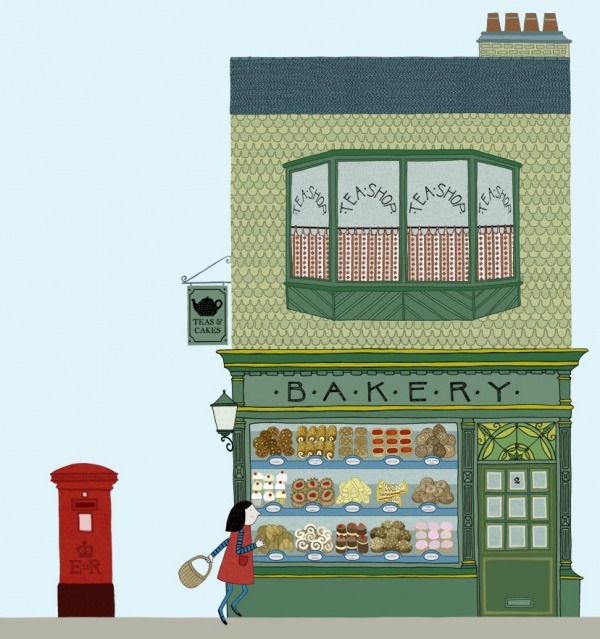 The High Street is a charming hardback picture book which takes the reader on a fantastic lift-the-flap journey of all the shops on the high street. The little girl who takes us on the trip; Sally, has a list of ten things which she needs to buy. She goes everywhere from the pet shop to the tea shop and takes us on a trip down memory lane when there was a butcher and greengrocer on every high street. The lift-the-flap element of the book really gets the reader involved and they lift the flap to see inside the shop and look at what lovely little Sally is buying. Will she get everything on her list? This really is very much a visual book, with each page so vividly detailed, it’s a joy to look through. 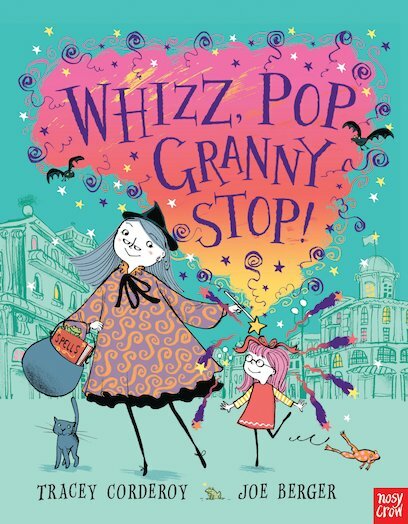 If I could liken Alice Melvin’s illustrations to anyone in the current market it would be Emma Chichester-Clark but she really is so unique and I think that’s what the Booktrust loved about her when she was awarded The Booktrust Best New Illustrator Award. So if you want an unique picture book that’s something a bit more traditional and every bit as beautiful, this is it. Shirley Hughes is one of our most-loved and sacred children’s picture book writers. 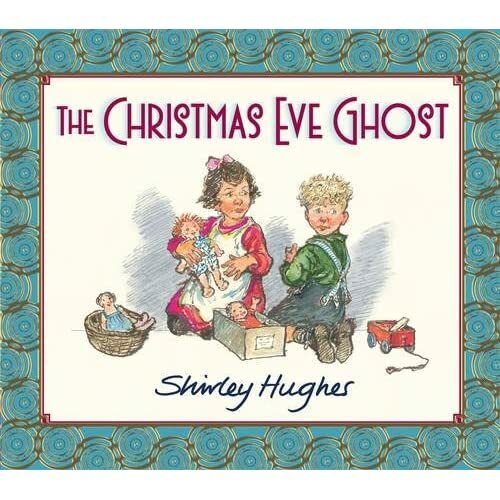 No one else, to this day has retained that classic sense of storytelling which Shirley achieved in her illustrations and charming stories of very normal, very likeable and fragile characters. Think Lucy and Tom, Alfie and Annie Rose and now we spend Christmas with Bronwen and Dylan. When Bronwen and Dylan hear ghostly sounds on a cold Christmas Eve night, they hurry next door into the welcoming arms of their neighbour Mrs O’Riley and together they learn to face their fears and discover all is not what it seems. Set in 1930’s Liverpool, we could be painted with a cold, dreary picture. Instead, Hughes’s story, brings to life the magic of this time of year and the warmth and kindness of her characters remind us that we don’t always need the gluttony and glamour modern day Christmas may bring. Beautiful, just beautiful. May Shirley Hughes never go out of print, and never fall out of a child’s hands! A Christmas book for the little ones today. A lovely, beautifully illustrated collection of five short Christmas stories for ages 3-5. There’s a tale for each of the themes of friendship, appreciation, giving, sharing and love and features lovely woodland creatures who can’t help but warm your heart. Each page is loving full of colour illustrations and glitter which will just add to the magic of Christmas when this is being read.